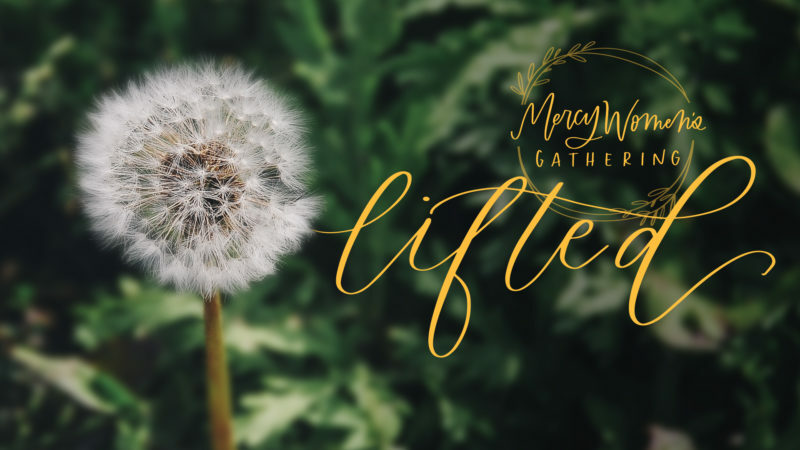 Women of Mercy, we invite you to join us April 11 for the first Mercy Women’s Gathering of 2019. As we prepare our hearts for a night of fellowship, worship, and teaching, we want to share with you the heart behind Lifted and our prayer for these gatherings. By the time that Jesus took Peter, James, and John up to the Mount of Transfiguration, they had probably been his disciples for about two years. For two years, they had devoted their lives to following this man who healed the sick, calmed the storm, walked on water, and called himself the Son of Man. Not long before the Transfiguration, Peter had demonstrated his remarkable faith by recognizing that Jesus was not just a prophet or a teacher, but “the Christ, the Son of the living God.” (Matt. 16:16) Then, Jesus began to prophesy about His coming death, and Peter’s faith fell short. “‘Oh no, Lord! This will never happen to you!’” (Matt. 16:22, CSB). I wonder if the same indignation had come over Isaiah’s listeners when they first heard him prophesy about the Messiah as the suffering servant who would be “pierced for our transgressions” and “crushed for our iniquities!” (Isa. 53:5). After all, this same prophet had actually seen God early on in his prophetic career and had described Him as “sitting upon a throne, high and lifted up.” (Isa. 6:1). Isaiah’s prophecy had once again used the phrase “high and lifted up” to describe the Lord in Chapter 52. Only this time, the prophet used it in specific reference to the coming Messiah, whom he described as God’s servant. “Behold, [God’s] servant . . . shall be high and lifted up and shall be exalted.” (Isa. 52:13). Like Peter, Isaiah’s listeners must have thought, “What kind of high and lifted up God allows himself to be mutilated by His own creation?” The kind of God who was lifted up to save His own creation. “For thus says the One who is high and lifted up . . . . I will not contend forever . . . I have seen [man’s] ways, but I will heal him.” (Isa. 57:15a, 16a, 18a). Moses’ bronze serpent temporarily saved the Israelites from the curse of their rebellion against God, but it could not save them eternally from their sin. Everyone who recovered from the snakebite in the wilderness still died. To save the human race once and for all, God himself would have to become the cure by becoming the curse. And, so, he “descended from heaven” (Jn. 3:13), “taking the form of a servant, being born in the likeness of men.” (Phil. 2:7). Then, in the first greatest reversal of all time, this the Incarnate God was lifted up, not to a place of exaltation, but onto a cross. “Christ redeemed us from that self-defeating, cursed life by absorbing it completely into himself. Do you remember the Scripture that says, ‘Cursed is everyone who hangs on a tree’? He became a curse, and at the same time dissolved the curse.” (Gal. 3:13, MSG). Women of Mercy, we gather to remember Jesus Christ lifted up on the cross, bearing the weight of our sin. But, women of Mercy, we also gather to celebrate Christ Jesus, high and lifted up, seated at the right hand of the throne of God! Oh what grace to know that the cross is not the end of the story! Mere days after Jesus had sharply rebuked Peter for his resistance to the idea of the crucifixion, Jesus had taken Peter, James, and John up to the Mount of Transfiguration. God lifted him up to the highest place. God gave him the name that is above every name. When the name of Jesus is spoken, everyone will kneel down to worship him. Everyone in heaven and on earth and under the earth will kneel down to worship him. Everyone’s mouth will say that Jesus Christ is Lord. And God the Father will receive the glory. 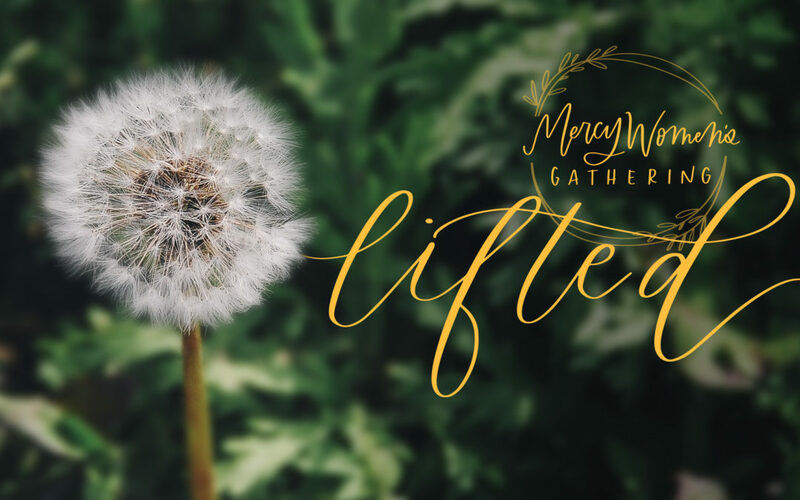 Mercy Women, as we gather, we are praying to the God who is high and lifted up: We are praying that burdens will be lifted. We are praying that eyes will be lifted. We are praying that hands will be lifted to God in praise. We are praying that when we look up we, too, will see Jesus only.